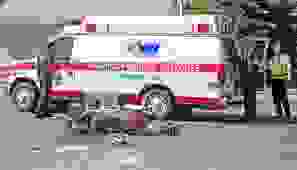 CALLING THE AMBULANCE AFTER A CALIFORNIA VEHICLE ACCIDENT: Should I call the ambulance after my San Diego Car or Motorcycle Accident? Yes, if your injuries are serious and require immediate medical attention. It does not matter how minor you feel your injuries are as you are not a medical expert in most cases. It is best to call the ambulance company and get checked out at the scene of the accident. However, calling an ambulance right after an accident may not always be necessary; and, just because you do not, it does not impact your case negatively or otherwise because many accident injuries turn out to be serious even though an ambulance was never called to the scene.